Ayurvedic Experts formulated and tested to treat root cause of constipation. Relieves indigestion, gastritis, abdominal pain, irritable bowel movement. Corrects ‘vata’ dosha & also works as an appetizer. Treatment Includes: Oral Supplement in the form of herbal powder. Intake: 1 to 2 tea spoon of herbal powder after every meals with water (preferably warm water). 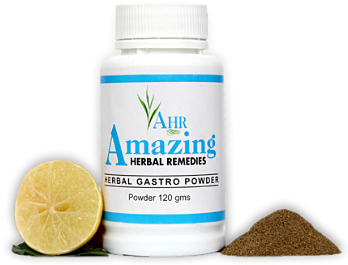 Herbal gastro powder has its roots in Ayurveda-ancient herbal healthcare system of India. Herbal powder is a researched ayurvedic natural product, developed by certified herbalist Dr. Raksha, using nature’s most powerful ingredients that have been scientifically proven to relieve constipation, and has no side effects. Herbal extracts & its natural herbs are helpful in balancing one of the three fundamental bodily humors “vata”, which is responsible dosha for constipation. Medicinal powder contains specific nutrients that are not easily obtained from dietary sources alone that influence on digestive system, as deficiencies of specific nutrients can also lead to constipation. The herbs in combination are useful in multiple problems as they remove the accumulated toxins within the body, making it best herbal remedy for constipation and an effective cleanse formula. It also clears up the liver and whole body toxins (ama) & promotes regularity. Improve immune system, intestinal health and also improves functioning of digestive system clears the blockage of channels in the digestive system. Giloye use for soothing inflamed and injured mucous membranes in the digestive tract. This herb protect the stomach and duodenum by increasing production of mucin, a substance that protects the lining of these organs against stomach acid and other harmful substances. It is very much useful in chronic constipation. Haritaki increases the frequency of stools and has got the property of evacuating the bowels completely. Amla is full of Vitamin C which is improves digestion process; Problems of stomach like acidity and heartburn etc. Zeera (Cuminum cuimunum), Sonf (Foenieulum vulgare) and Rock salt. People who eat a high-fiber diet are less likely to become constipated. The most common causes of constipation are a diet low in fiber or a diet high in fats, such as cheese, eggs, and meats.Fiber—both soluble and insoluble—is the part of fruits, vegetables, and grains that the body cannot digest. Soluble fiber dissolves easily in water and takes on a soft, gel-like texture in the intestines. Insoluble fiber passes through the intestines almost unchanged. The bulk and soft texture of fiber help prevent hard, dry stools that are difficult to pass. Feel in between thumb and index finger but not the bony part. You can estimate the location and press gently around it. If you can feel pain spreading out from a point, you have found it. Move towards the bony part of the area between thumb and index finger, half way towards the wrist. That’s point Large Intestine 4 or what they call LI4 to stimulate intestinal contractions. Turn palm upwards. At the wrist area below the little finger, look for a depression between bones and vein. Put your palm downwards. Mentally divide the distance between the wrist and elbow into four equal parts. Pick the point which is a quarter from the wrist. Or imagine the point at which lines from the little finger and the ring finger intersect. Bend your hand towards neck. Look at the crease on the elbow. Avoid dry foods. Your food must contain adequate amounts of oil or ghee in it. Put a teaspoon of ghee in a glassful of warm milk. Drink it when going to bed. It is very helpful in relieving from constipation. For morning walk by having 2-3 glasses of warm water. This will prevent constipation and clear bowel movements. 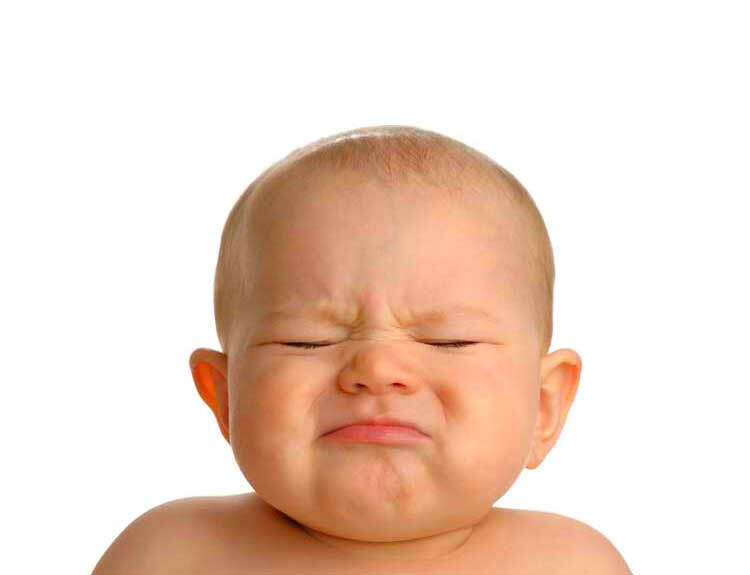 Do not take rice when suffering from constipation. Take wheat instead. Include fresh fruits and green leafy vegetables in your diet. Papaya and sugarcane are especially beneficial. Tomato and beetroot salads are also very useful in constipation relief. Do not eat foods that are difficult to digest like beans, legumes, grams, cabbages and mushrooms.. This entry was posted in Clinic Remedies and tagged Acupressure, Ayurveda, Herbal Remedies, Home Remedies, Stool, Stress, Yoga.